Week 7 Recovery – The Gift of a Clean House, in more ways than one. As I am at the end of week 7, I’m feeling good! Aside from the occasional numbness I am experiencing in my left leg, I’m getting stronger, walking more everyday and my psyche is strong. No more depression. I’m looking forward to returning to work in October, maybe part-time until the numbness in my leg is resolved. I’ll speak to the Dr. this week regarding the numbness. I’m still not able to bend or twist but I’ve been upgraded to lift up to two gallons of milk! So about 15 lbs. Now I can lift Baxter if I need to. I still can’t deep clean my house, but that doesn’t mean that I can’t redecorate! 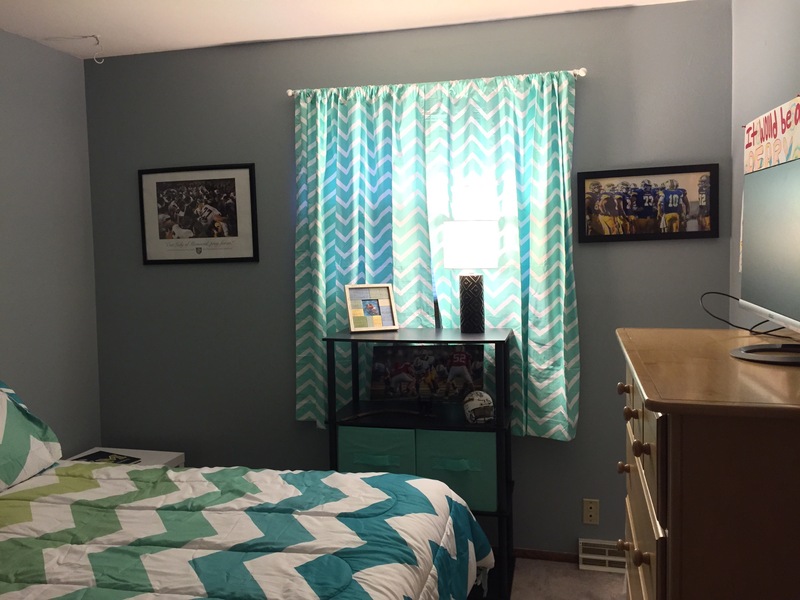 After Tony left for college last week I went shopping and redid his entire room! It was badly needed, and really fun to do! And he loved it, which is the most important thing. And my mind is racing with ideas to start deep clean bedrooms and just get rid of stuff! I feel the need to clean up the clutter in our lives. I’ve always wanted to, and Joe hates clutter, but now I’m ready to get busy, although it’ll be awhile yet before I can physically do it. 😪 I think it’s good for my psyche to start anew, fresh beginnings! As far as the everyday cleaning goes, our dear friends John and Julie gifted us with a cleaning woman, once a week while I’m recovering! This has been a game changer for my family! To know that the bathrooms and my kitchen floor are clean, the vacuuming and dusting are done, is priceless to me! It’s taken so much pressure off of Joe! We really don’t know how to thank them, but we’ll figure something out! I spent time yesterday looking through all of the cards that I received, I said to Joe, “did you know that I got a card from So and So?” It made me feel so good and special that friends from Holy Apostles when Tony was there, took the time to send me a card, and many other friends that I didn’t expect. I am truly a blessed person!